Security is incredibly vital to online business. Technologies designed to meet security requirements have evolved over time, but the requirements have remained relatively constant. These requirements include Authentication, Authorization, Integrity, Signature, Confidentiality, Privacy and Digital Rights Management. We provide you with software for Microsoft Windows and top quality components ï¿½XSign XML Signature Componentï¿½ for digital data signing and ï¿½XEnc XML Encryption Componentï¿½ for encryption (using X509 certificates) that meets these requirements implementing XML encryption standards recommended by W3C and IETF. Both components are available as ActiveX for Internet Explorer and XPCOM for Firefox. Now you wonï¿½t need to worry about the security of your online business information. What is XML Signature and XML Encryption? 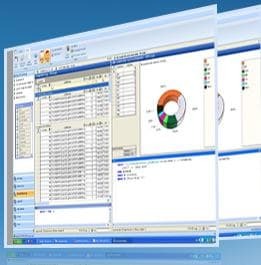 By trying Log Parser Lizard for free, youï¿½ll see first-hand how easy it is to find needed information in your log files, XML files and CSV files. Youï¿½ll no longer have to use an unintuitive interface to search, and your queries are stored for future use. 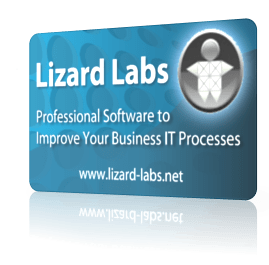 Lizard Labs offers two great professional encryption security software components to protect the security of your online business information. 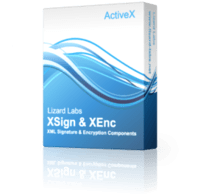 Both XSign XML Signature Component and XEnc XML Encryption Component are encryption software components that bring strong security to your data and applications. You can use them to sign, encrypt and decrypt XML documents using X509 certificates in just few lines of code. The resulting XML documents are portable to any environment that supports XML Encryption and XML Signature. Ensuring Integrity: XSign ActiveX component can sign XML documents using user’s private key stored in X.509 certificate. Unauthorized changes in the signed document will be detected by the receiver. If it is used for authentication, it offers a much stronger security and proof of possession than other methods such as one time password (OTP) authentications. Protecting Confidentiality: XEnc component provides strong encryption of your data using RSA asymmetric encryption. An XML document can be encrypted using the public key from X.509 certificate which can only be decrypted by the private key of the same certificate. The components encompass the complexity of XML signature and encryption process into a very simple encryption software interface. As we demonstrate in our samples included in the demo version, it takes very little programming effort to add strong security into your Web and desktop applications. The most common application areas for these components are web based applications. The digital signature is created by the user in a web browser and the signature is verified on a web server. Signing, encrypting and decrypting XML documents according to W3C XML cryptography standards using X.509 Certificates. Also available as XPCOM component for use in Mozilla Firefox. Compatible with Microsoft.Net, ASP.Net and many other XML encryption, decryption and signature verification libraries. Implemented on the Windows platform and uses Microsoft’s standard API for cryptographic functions and XML processing. Stand alone installation. No need for MS XML, CAPICOM, Java RT or MS.Net. 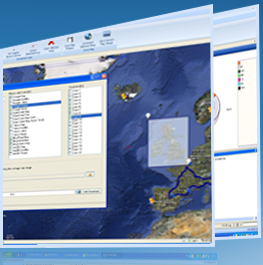 Compatible with Internet Explorer and Firefox on all Windows operation systems including Windows XP, Windows Vista and Windows 7 (x86 and x64). XSign is also available for Windows Mobile (Smart Phone and Pocket PC devices). Full support of Unicode characters. Support for user certificate store to find X509 certificates, meaning that all devices including installed certificates on your computer, smart cards, and USB tokens, can be used to sign and encrypt the XML document. You can also use ActiveX components to develop desktop applications on any development environments that support ActiveX objects such as C/C++, Visual Basic 6, C#, VB.Net etc. XSign is also available as an ActiveX component for Windows Mobile and can be used on client side in Pocket IE on mobile devices (Pocket PC and/or Smartphone). Now we offer only Unlimited Server License for all components in a single package for a great discount. Remember, this is a limited offer and can be ended as soon as we reach the ordering limit, so place an order today. After order is confirmed you will receive an e-mail with the link to download the package with all unlocked components available in the trial. If you are dissatisfied with the purchase for any reason, there is a Money Back Guarantee! Simply contact Lizard Labs within 10 days of your purchase and receive a no-hassle refund. Don't miss this great opportunity - order now. The free trial version of the encryption software components includes everything the registered version does, except the license rights to distribute applications you create that use the library. That means you get the complete documentation, code examples and sample applications with fully commented source code. 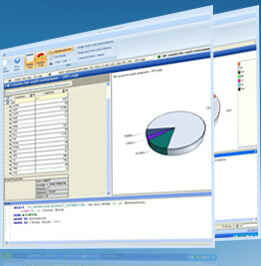 The free trial version is intended to allow you to design code and test applications that use XSign or XEnc for 20 days. The 20-day trial period begins when you first install the library on your development system. Only registered users are permitted to distribute applications that use the library outside their test or development environments. When you decide that you like the library and will use it in your projects, all you have to do after purchasing a registered copy of the product is to uninstall trials and install registered versions of the components. To accommodate the needs of everyone, from single web developers to worldwide enterprises, Lizard Labs offers three basic licensing models: the Single Developer License, Server License and Unlimited Server License. If you are using XSign or XEnc ActiveX to develop a desktop application, you may purchase one single developer license for every developer in your company. But if you have many developers that will develop software products using XSign or XEnc or in the future you are planning a web project, you may consider purchasing Server License or Unlimited Servers License. If you are selling web based software to a different organization, they will also have to purchase Server or Unlimited Server License separately from your license that you have used to develop the software. Unlimited server license is suitable mostly for large sites, hosted on many servers (or clustered environment) or for a multiple applications hosted on different servers. Deployment of redistributable files of ActiveX or XPCOM components to the client machines (end users of your developed products) is free of royalties in all three cases. We are recommending the Unlimited Server License, as it has the most features and you will be on Lizard Labs special customers list. This list will give you limited technical support and notifications for discounts on future updates to our products. oXenc.SystemSotreName = "My"; // Use personal store (default).